The protests against the Islamic Republic in Iran have taken on a mass character. These demonstrations are a spark of hope for workers and oppressed peoples in the Middle East. What should the Iranian government be expecting? “The people are begging — Khamenei rules like God,” “Death to Rohani,” and “Death to the dictator” are the demands shouted on streets and in squares all over the country. Last Thursday, demonstrations broke out against high prices in Mashhad (Iran’s second largest city), unemployment, and government corruption. A subsequent protest movement has emerged that openly confronts the Mullah regime with political slogans. Iran is now experiencing its biggest internal political crisis since its last mass protests — those in 2009 in response to the re-election of former President Mahmoud Ahmadinejad, marred by allegations of vote rigging. At that time, the movement was able to mobilize 3 million people in the capital city of Tehran. With a population of 8.6 million, Tehran was the birthplace and center of the “Green Movement.” But the “pacifist” bourgeois leadership led the masses to defeat at that time by limiting its demands to new elections and democratic freedoms for the bourgeois and petty-bourgeois classes. The movement was largely petty bourgeois in character, and it was not able to fulfil the economic and democratic demands of the masses. call for “Nan, Kar, Azadi” (bread, work, freedom) spread throughout the country within a few days. The starting point of this year’s protests, however, was the northeastern city of Mashhad, a stronghold of the conservatives. The slums were hit particularly hard by the government’s neo-liberal attacks. Under the miserable conditions of unemployment, criminalisation and super-exploitation of workers, President Rohani’s new economic policy has made waves. In recent days, the price of eggs, an essential foodstuff for the poor, has almost doubled. According to the new budget, which is to be implemented on March 21, the price of gasoline will be increased by 50 percent through a reduction in subsidies. Meanwhile, the protests have spread throughout the country and reached the capital. dissatisfaction in a storm of activity. Students from the University of Tehran are shouting, “We would rather die than surrender!” Unemployment among undergraduate students has led to discontent with the clergy and revolutionary guards, whose financial relationship with the state budget remains unclear and who are deeply invested in private education. According to official figures, youth unemployment stands at 28.8 percent. Women, meanwhile, are protesting against patriarchal and religious oppression and demanding equality. The struggle for the economic and social rights of workers in Iran is made more difficult by particularly repressive conditions. The Islamic government responds to strikes, protests and actions by independent trade unions with brutal violence. 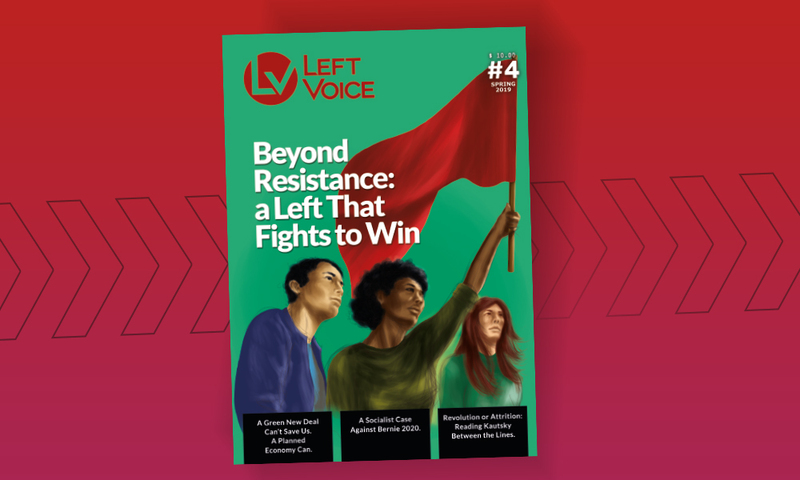 In July 2017, several trade unionists and workers were arrested for organizing strikes and demonstrations against neo-liberal attacks on labor protections. The independent trade unions are regularly persecuted by the regime’s repressive forces. The Federation of Free Iranian Trade Unions, the Electricity and Metal Workers’ Union in Kermanshah, the Painters’ Union of the Province of Alborz and the Association of Workers’ Rights published a statement on January 2. They demand the abolition of all forms of repression, oppression and prisons; the freeing of all political prisoners; that those who exploit and oppress the people must be brought to justice; that the money “looted from the people” must be returned; that the minimum wage of workers in the public and private sectors must increase fivefold; an end to the outrageous salaries of the rulers; and the immediate implementation of complete trade union freedoms, complete freedom of speech, freedom of the press and freedom to form parties. However, although the protests have an economic basis, working class participation remains sporadic. The state repression of the independent trade unions and their activists makes it difficult to establish themselves in workplaces. The workers’ movement in Iran is too organizationally weak to take the lead in protests through the use of strikes, occupations or the establishment of democratic self-governing structures. In addition, by blocking social networks such as Twitter and Telegram, the state is blocking the coordination of demonstrators. For example, on January 1, agitation for a general strike appeared on all the social networks, but the majority of workers knew nothing about it. The opposition to the Rohani government does not pursue uniform objectives. From conservative hardliners to nationalists, all are taking positions against the corruption and economic crisis, but stark differences exist about how the Islamic Republic should be replaced and what should replace it. The nationalists are critical of the Islamic regime; at the same time, they call the current Middle East policy in Yemen, Syria, Lebanon and Palestine “a fiasco” and call for rapprochement with the U.S. and Israel. They exploit economic instability and fundamentalism with demands such as “investing more in the homeland than in the Arab nations” to launch a pro-Western and pro-imperialist, secular Iran. Both President Rohani and the religious and political leader Khamenei have commented on the protests. While Khamenei declared the protesters to be “enemies of the country”, as in 2009, Rohani tried to point indirectly to the responsibility of the hardliners “Not only are people’s problems economic, they also demand more freedom,” he states. Rohani, who was elected President in June 2013 and re-elected for a second term in May, has made economic recovery his priority and has declared the nuclear agreement with the U.S. a precondition for the recovery. 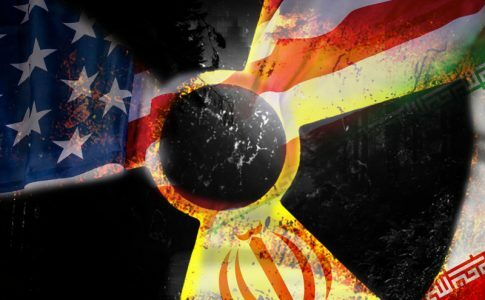 The agreement on the nuclear program with the United States, the United Kingdom, France, Russia, China and Germany, followed by the partial lifting of the economic sanctions against Teheran, was the central project of Rohani. But with Donald Trump in the White House, Iran has once again been declared a “rogue state.” Trump called the nuclear agreement with Iran “one of the worst and most one-sided transactions the United States has ever entered into” and has both decertified the deal and indicated that he is considering a refusal to wave sanctions against Iran this month. In Middle Eastern foreign affairs, Trump has been heavily reliant both politically and economically on the Saudi monarchy, which has long competed with Iran in a regional power struggle. In both Yemen and Syria, regional powers are waging their proxy wars, while Iran’s expansion is limited by the Saudi Arabian offensive waged with the support of Trump and the unstable economic and political situation in its own country. 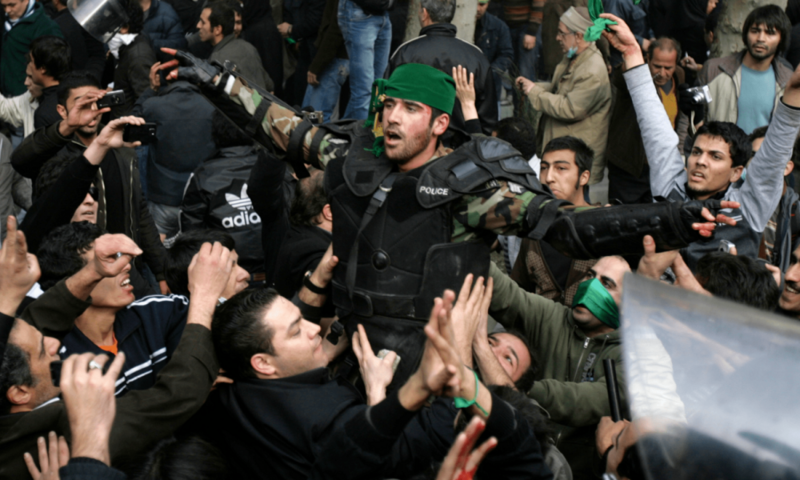 The “Shiite Crescent” has become a reality, and Iran has a special influence as a regional power on countries such as Iraq, Lebanon and Syria. But as is characteristic of any regional power, this influence came at great cost both in terms of the lives of soldiers and in financial terms. The Iranian regime wanted to make — and could have made — a leap forward in its role in the Middle East, but it was stopped from within by the masses who are no longer willing to go hungry in order to pay for it. But the Trump’s efforts to influence the protests from afar remain unsuccessful. 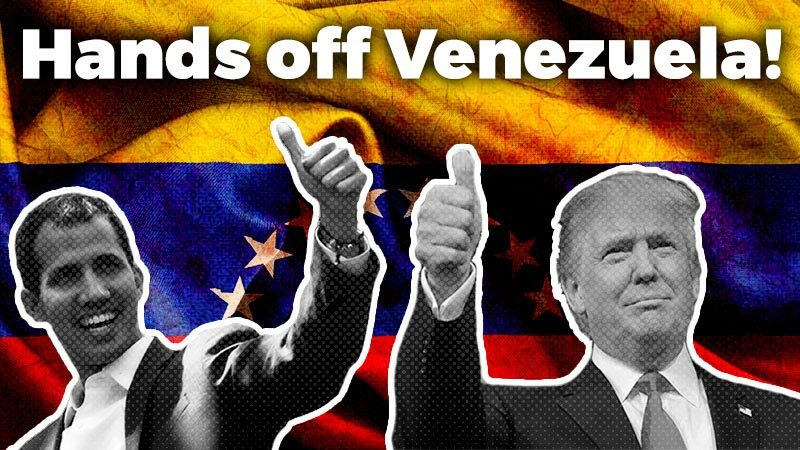 The anti-U.S. sentiment continues to be supported by a majority in the country and now expresses itself more clearly than in the protests in 2009. The tensions between Rohani and Khamenei have been increasing ever since the nuclear agreement in 2015. The promise to use the nuclear agreements to improve the economy has rang false for workers and young people hit hard by unemployment. Instead, subsidies have been cut and the cost of living has risen dramatically. Rohani does not receive any support from the hardliners for his “liberalization of the regime” as it limits their influence — they fear for their political power and the loss of control over key sectors of the economy. Rohani’s budget includes, among other things, cuts to the budget of the clergy. Nevertheless, the two reactionary bourgeois factions agree on the question of attacking the workers. While in the eyes of the European imperialism, Rohani is a possible ally, and the International Monetary Fund (IMF) welcomes his economic measures as “modern,” increasing social inequality is causing class conflicts to grow. The streets of Iran have been taken by those layers of society who are most dissatisfied with the regime. So far, the Iranian Revolutionary Guard (Sepah) has not yet intervened, as it itself is split due to the foreign and domestic contradictions. This is a rebellion, not a revolution; many of the actions are heroic but there is no program with demands and tactics behind it. Self-organization is mainly limited to modest initiatives by the students of the University of Tehran, and the protests lack leadership. The events are proceeding at a furious pace because the masses are exploding with rage at the injustices. he progressive nature of the slogans, however, cannot be denied even though the movement has no leadership, and both the imperialist powers and their allies in the country are trying to intervene. Under these conditions, intervention by the Sepah would greatly increase the number of deaths and arrests. 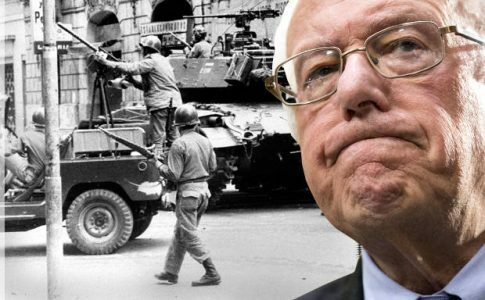 The militarization of the entire country is a possible option for smothering the protests. The exact form in which this will take place — whether Rohani will be replaced in a military coup by the hardliners or the masses will leave the streets due to exhaustion and government repression — remains to be seen. Ninety percent of those arrested are under the age of 25. 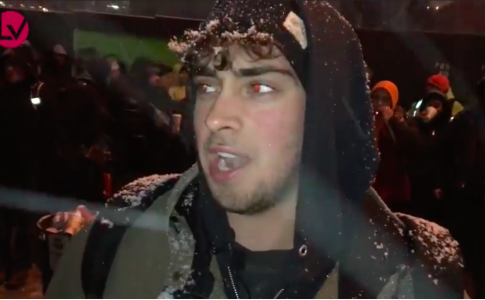 In spite of the police violence, young people are at the forefront of the protests. Today it is disorganized and too weak to realize its own slogans, but the new generation of fighters born during the crisis of the Iranian regime is nevertheless important — it is building experience by organizing protests and the ”untouchable power” is collapsing in the minds of the masses. At the University of Tehran, which is currently the hardest hit by repression, students are already starting to organize their own assemblies. 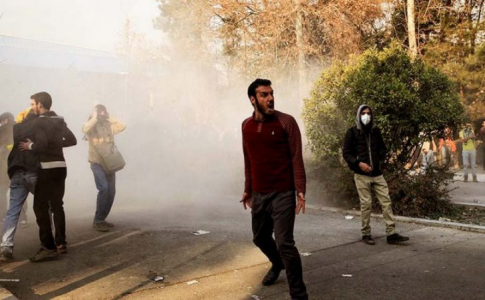 The protests will undoubtedly leave scars on the Islamic regime — they are stronger than the Green Movement of 2009, and the power of the mullahs, based in repressive and clerical apparatuses, is neither structurally nor economically capable of meeting the economic and democratic demands of the impoverished masses. The Islamic counterrevolution not only assassinated the opposition, it also robbed workers of the gains of the 1979 revolution. The probability of these protests ending in defeat is a significant one. However, given Iran’s geopolitical role as a regional power, the protests will be remembered. This revolt is not only a concern to the Iranian regime; it also sends a powerful message to the workers and oppressed in the Middle East.